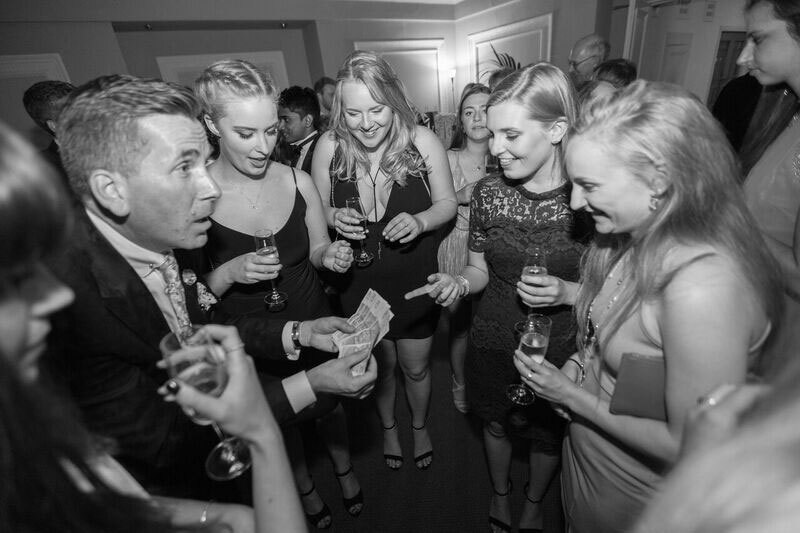 With 20 years’ experience as a full time professional magician covering London, Surrey, Sussex and beyond, Martin guarantees to astonish you with close-up magic to make your next special event truly memorable! Martin is now resident close up magician at what is considered to be one of the “worlds most prestigious private members clubs”. TRAMP, Jermyn St. London. Performing again at the aftershow party for “The Assassination Vacation Tour” @Tramp, London. 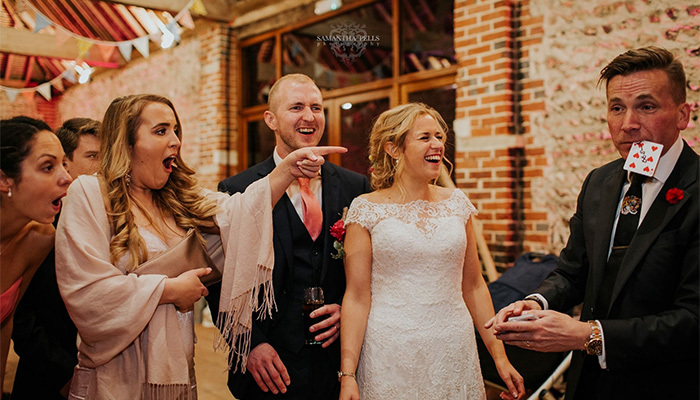 From corporate functions, weddings, dinners, private parties and even stand-up cabaret, Martin’s magic will add a memorable touch of the unexplained to your event, which will get your guests talking and keep them doing so long after the occasion ends. 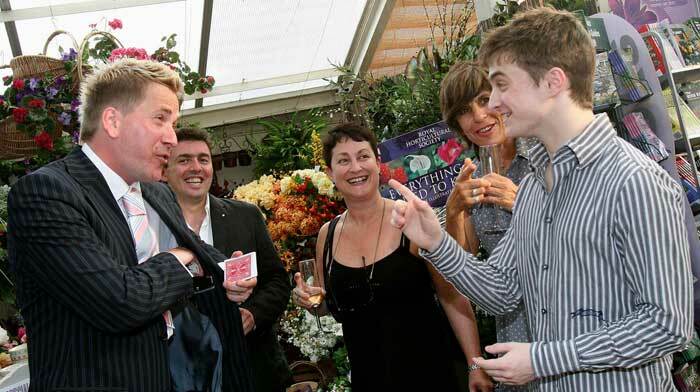 By using his extraordinary charm and award-winning magic skills, Martin will entertain, baffle and delight your guests or clients, and make an unforgettable difference to your next event. In return, you will receive the credit for hiring the very best – Martin is a multi-award-winning member of the famous London, Inner Magic Circle. Past winner of the Magic Circles ‘Close-up Magician of the Year’ and also awarded the Magic Circle M.I.M.C (Member of the Inner Magic Circle) Gold Star, which is the highest degree possible, this is your guarantee of performing excellence – put simply, they don’t come better than this. Martin’s impressive list of delighted clients include HRH The Prince of Wales, The Duchess of Cornwall, Prince William -The Duke of Cambridge and Sir Elton John, to name but a few. 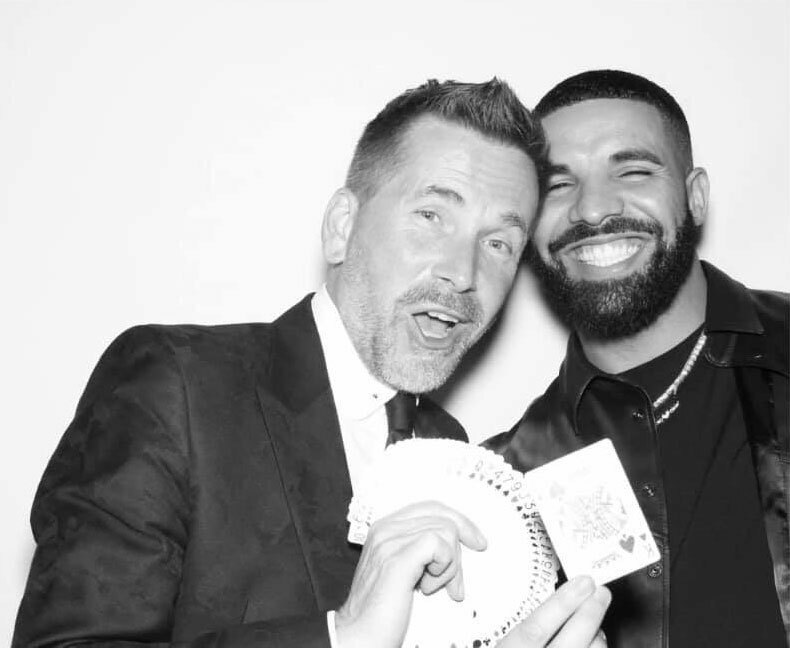 He is also a regular in-house magician at the Park Lane London Hotel groups. However, whether the choice of venue is the grandest of London hotels or in your own home, you will receive a truly world-class close up performance each and every time. 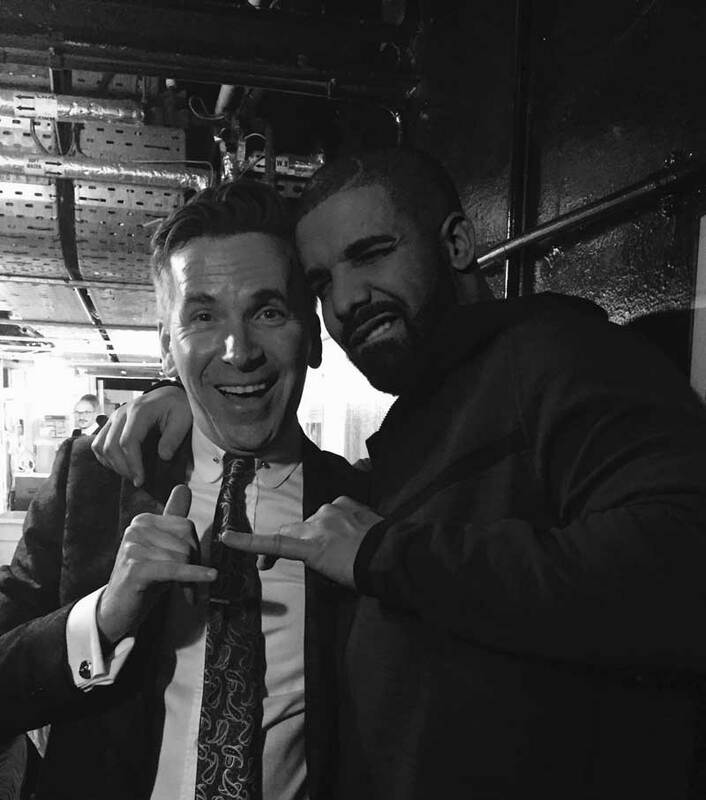 Martin entertains the worlds biggest rapper ‘DRAKE’. Also awarded the Magic M.I.M.C (Member of the Inner magic Circle) Gold Star which is the Highest degree possible. This is your Magic Circle guarantee of performing excellence.